It was a delightful surprise during this Sundance Film Festival. 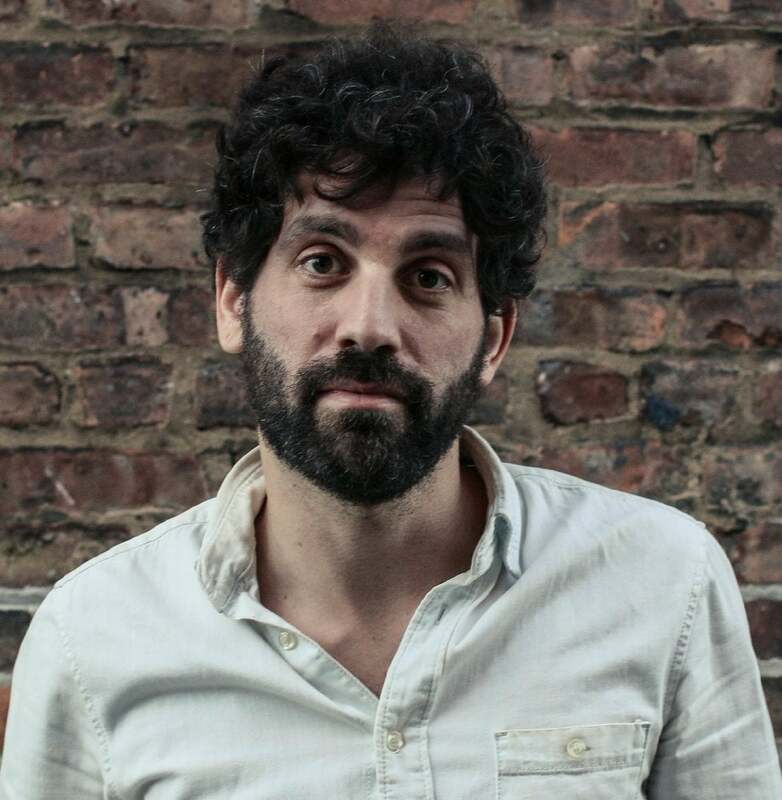 Usually, the idea of a film with a non-professional cast depicting a small story inside a close-knit community may not be so appealing, but the freshness and authenticity with which first-time director Joshua Weinstein infuses Menashe overcomes those hurdles. 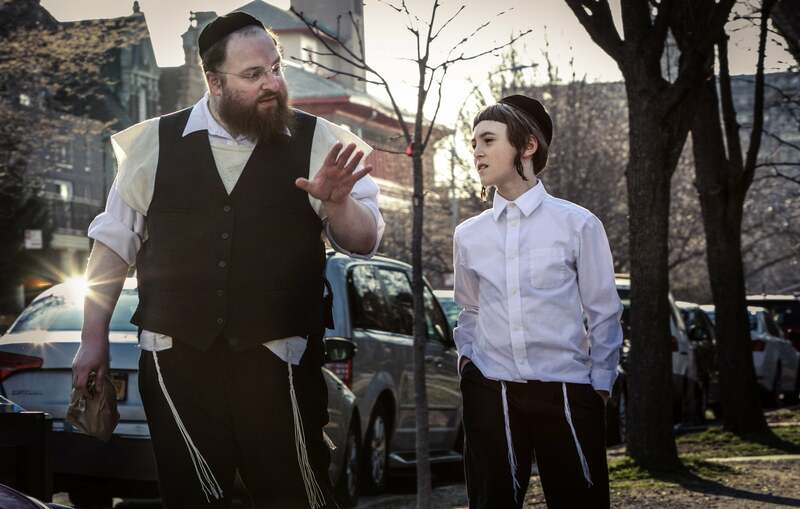 The film takes us inside an ultra-orthodox community in Borough Park, Brooklyn, where the titular character, a lower-class Hasidic Jew, tries to raise his son and it received warm applause at the festival. A professional cinematographer and a veteran of documentaries, Weinstein spoke with us about the difficulties of getting inside a community that does not go to the cinema or celebrate movies, and how finding the right cast (notably Menashe Lustig, who is a respected comedian in that community) was key to an honest portrayal and an enjoyable film. This is a very close community where cameras are not necessarily well appreciated. So how did you manage to film in that neighborhood? It was very challenging. We would lose locations and we would lose actors. The supermarket that we shot in, I think we ended up using three supermarkets to make one. People don’t want the camera and don’t want to compromise or bend, just like in the film. We shot on the street and huge crowds would come and observe us. For the most part, people were interested and excited and they wanted to be involved with the film and they were fascinated by it. And that was the story. And the producers I worked with were great, trying tirelessly and double checking on locations and what was coming, and with extras, and it looks on screen as if every moment was just a miracle that we caught, and it is so difficult to execute that and it really was a miracle. It takes a lot of work to make things be so authentic. You could have done this movie with professional actors in a different place. Why did you want to do almost an anthropological film in a way?Well, to me the most important thing for the film was this, if you are not going to have stars, if you are not going to have big action sequences, it’s authenticity. You can’t fake that and there is no number that will gain that for you, it has to be there. You have to really be in a real Rabbi study, you have to have real beards. There’s no faking, it’s all real people. You couldn’t find faces like this, the faces are incredible. The body types are incredible. And you had to do it in this way, because any other way would have been fake, and then it’s not worth doing. What were the preconceptions that you may have had before making the film and what did you learn after being in this community for so long?I think most of us, when we look at the ultra Orthodox Jewish people, it’s off-putting, they want to remain closed off and they want to remain completely a world apart, but at the same time because they want their independence, they appear to us cold. They appear that they don’t want to even be with the outside world. So I remember I would visit these communities and we would go look around at the big festivals like one where it’s like Jewish Halloween and everyone is dressed in their costumes and parade in the street. I would walk around and people are so kind and so generous. It was during these moments that I got to go in their homes and I realized how warm, funny and interesting they were. And that’s why I knew I had to make a film, not from the outside point of view, but from the inside looking out. How difficult was it to find these actors because one of the things that impressed me from the movie is even if they are not professionals, they are very solid, I would say all of them. Did you use some of them from the Yiddish theater too?No. Not one of these people were a professional actor. And the reason why, so 99.9 percent of real Orthodox Jews was going to be used in the movie. So we were only able to cast about 30 people to be in the movie, and a little bit more came in, but only 30 of them I thought were excellent. And I just let them rehearse, this was an actor’s movie and I just cared so deeply about making them comfortable and even though some scenes were planned out, we allowed them to ad-lib a little bit. We didn’t make marks that they had to sit on and the film has a handheld feel. A lot of times we had handheld cameras and we had more coverage to make it easy. How much did you learn making the movie about the different styles they use to dress?It’s so fascinating. As you know, of the ultra Orthodox, this is only one of the groups we are talking about. And then within Hasidism, there are over 40 groups that are Hasidic. But each of the groups, they listen to their Rabbi dictate what the clothes that they wear are. In the outside world, you would think it all looks the same, but actually every group has a little bit different jackets and a little bit different hats, a little bit different socks. And they pick up on these cues about the different socks and jackets, and it’s funny, because it’s the length of the coat, it’s the sheen on the coat, it’s the pattern on the coat and they are all black. And to the outside world they all look the same, but there are actually differences for every sect about what type of garb they wear. Many people think Yiddish it’s a dying language, but that is not the case right? It is but it’s only used among very religious people. And outside of it, the rest of the Jews, it’s definitely a small minority who speak it. I have heard numbers that there’s only like a few thousand of people who are speaking Yiddish in their practice. So yes, it is alive. But most people that speak it daily would never watch this movie. What is your own connection to Yiddish? Both my mom and dad’s side came from outside Warsaw in Poland, and so with all my great-grandparents, Yiddish was their spoken language. So it was incredible because we did post-production of the movie in Warsaw and it was my first time going there after my family left 100 years ago. And just to be there in this place where Yiddish Cinema was huge. There was incredible movies being made there and incredible books and incredible plays. Yiddish was the language of modern Judaism, up until the creation of Israel. It is a shame because so many works were not translated and not known to us anymore.